"Where did my donation bike go?" 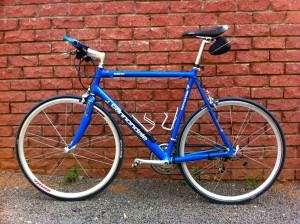 "The blue Cannondale from the photo was actually used in the Tour Ya Botswana, a 1000km road ride from Kasane to Gaborone. The bike was used as an emergency / back up bike should any participant have a mechanical problem. At least three people were able to complete the Tour by using this bike. We swapped out the bars and created a great cruising road commuter. The Lemond was restored by myself, and is being used by one of the top riders in the Gaborone Cycling Club development team. It's a really great bike." Who would have thought that these bikes would be ridden hundreds of miles by several individuals throughout the continent of Africa? It sure is amazing what humanity can achieve when we all come together with support for the same belief. Bikes can (and will) have an impact half a world away if we contribute what we are able to, be that a 10-year-old bike that's been forgotten in the garage or a bag of components that never made it to a bike swap. 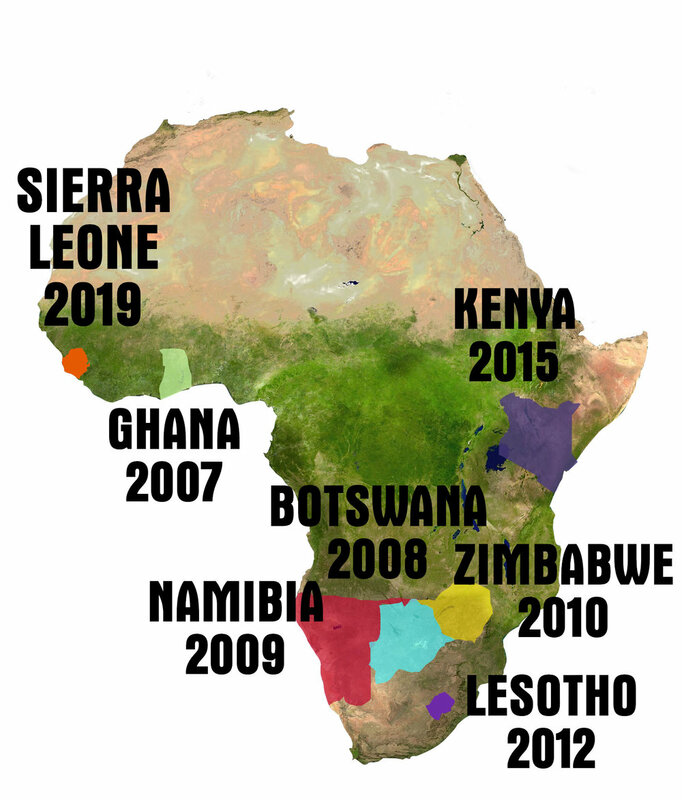 Let's keep 'em coming and keep giving folks in Africa the opportunity to ride!